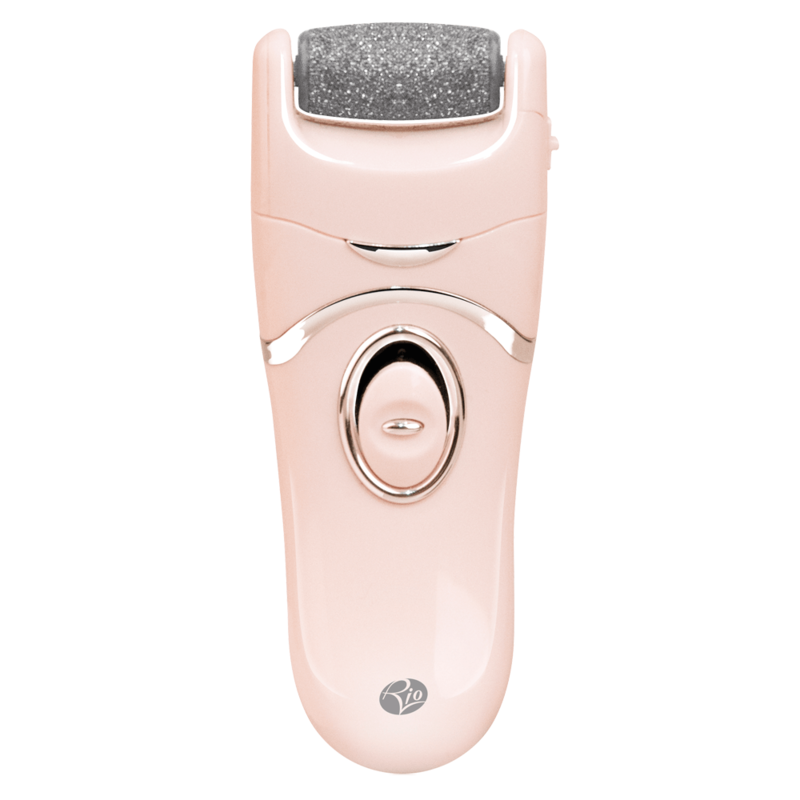 Gentle enough to be used daily, 60 Second Pedi is the ultimate at home foot pampering accessory, use to buff away, hard, rough and dry skin in minutes leaving you with fabulously smooth feet that you'll want to show off. 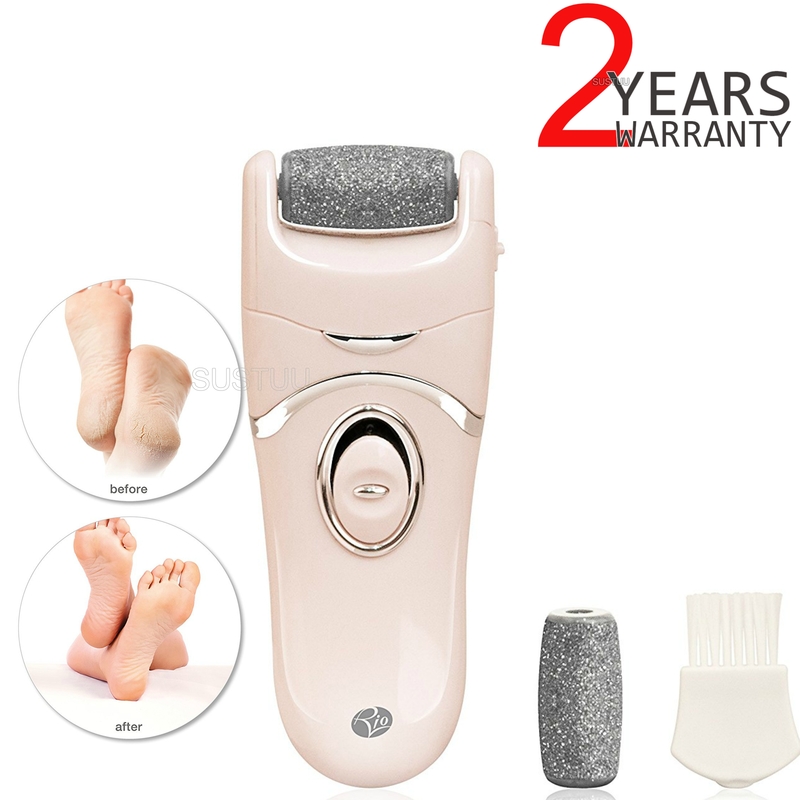 The replacable roller head with microabrasive particles makes it quick and easy to remove tough skin, by exfoliating the foot through a gentle and safe rotating action. Featuring two speeds for even the roughest of skin. STEP 1 Ensure that the skin on your feet is clean and completely dry. Note: You should not use 60 Second Pedi Hard Skin Remover on broken skin. STEP 2 Turn the unit on by pressing the safety lock button in the centre of the on/off switch and pushing the switch up. STEP 3 Select the programme speed by pushing the switch half way up for low (1) and all the way up for high (2). 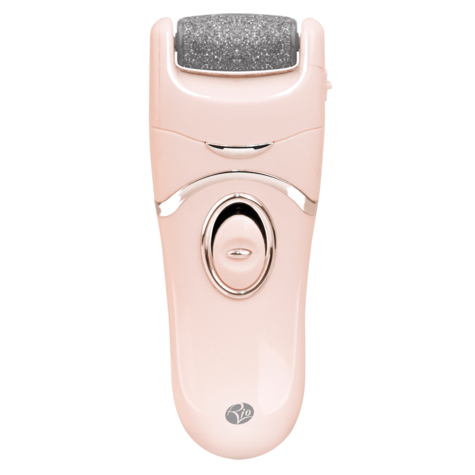 STEP 4 Gently move the unit backwards and forwards over the area of hard or dry skin for 2-3 seconds at a time, stopping to check if you have achieved the desired result. Do not apply to one area of skin for too long or it may cause discomfort. Note: Do not press too hard on the area or the roller will stop spinning. STEP 5 Switch off the unit by sliding the switch down to the off position.